The Look Fantastic box has FINALLY arrived, Hurrah! Not sure what happened this month as it was delayed by over a week, not cool LF!! This month features 6 carefully selected products which are a good mix of skin care items. The box contents are worth around £53 however there is actually only one full sized item. I’m happy to see that LF have also included REN in their selection of products this month as Birchbox also did. Thankfully it’s a different sample as I love this brand. This mask contains a fruit acid complex and an enzyme extracted from papaya to exfoliate and decongest your skin. It also improves skin radiance and reduces the appearance of fine lines. It’s a yellowy orange gel which smells like oranges. I applied it, left it for 10mins and then removed it with a washcloth and warm water. The result, my skin looked glowing. I had nice rosy cheeks and looked incredibly revitalised. This is definitely a brand to watch and I think I may have to invest in the full sized item. Love this! 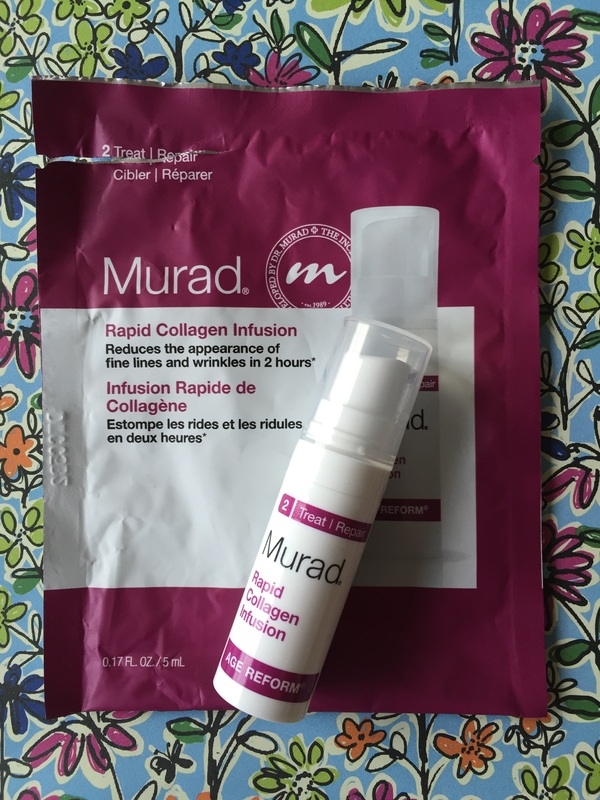 Murad is a great brand although slightly expensive. In the UK, you can purchase it in Boots or of course, online. It is one of the higher priced brands however you definitely pay for quality and results. 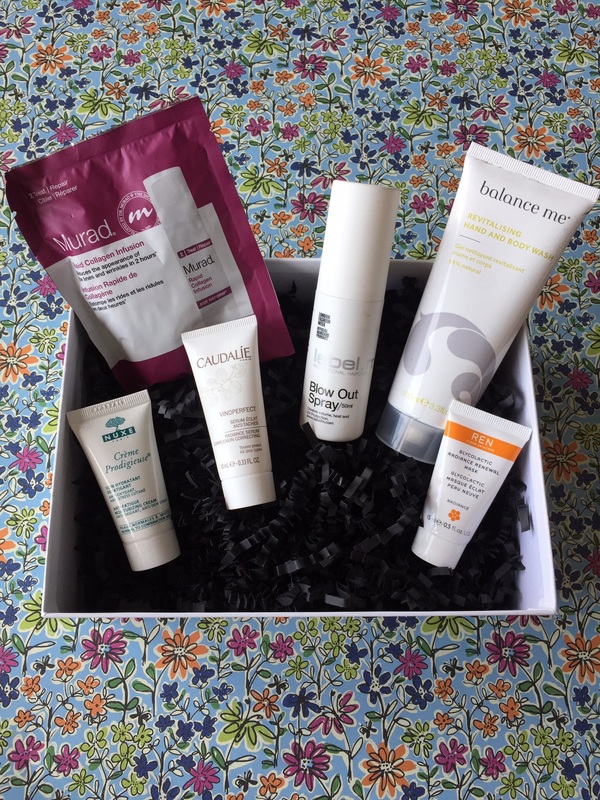 I’ve previously used the skin clearing products from the range which did work. This product is a gel cream formula which easily absorbs into the skin. It is light, fragrance free and non-sticky. As soon as it’s applied, skin feels very soft and conditioned. I don’t have too many fine lines however the ones I do have were less visable (Note – The fine lines I do have aren’t overly obvious. I think with continual use results will show however I don’t want to recommend something that I cannot fully confirm the results for anti-aging). I did really like using this product. 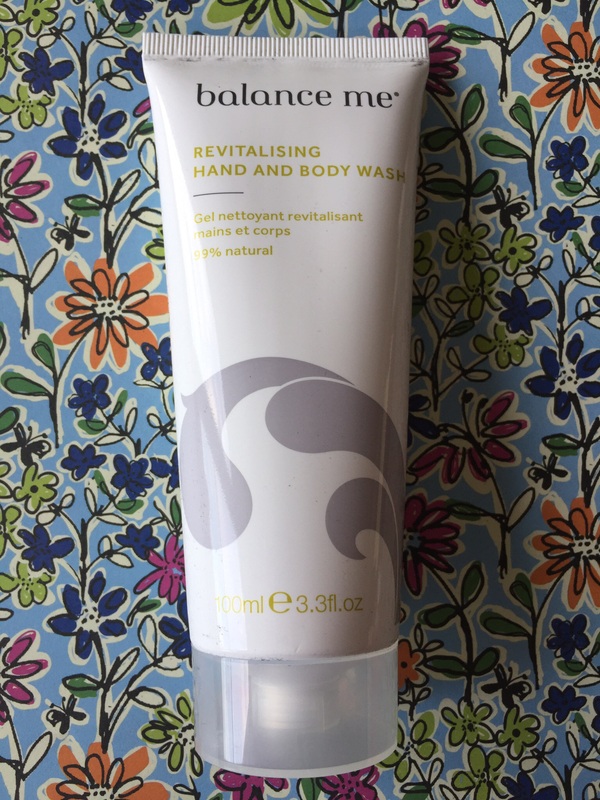 Again similar to Birchbox, LF has included a product from Balance Me. This time a hand and body wash. Sadly LF already sent this item in the April box which I wasn’t too enamored with. All items in this brand have the same odd/horrid smell… mint! Yuck. I HATE the smell of mint as it makes me feel physically nauseous, eeek! The product doesn’t lather as a body wash which makes me think it’s actually just a hand wash. Subscribers will receive one of two Label M products (a blow out spray or protein spray), a KMS or Lanza hair care product this month. 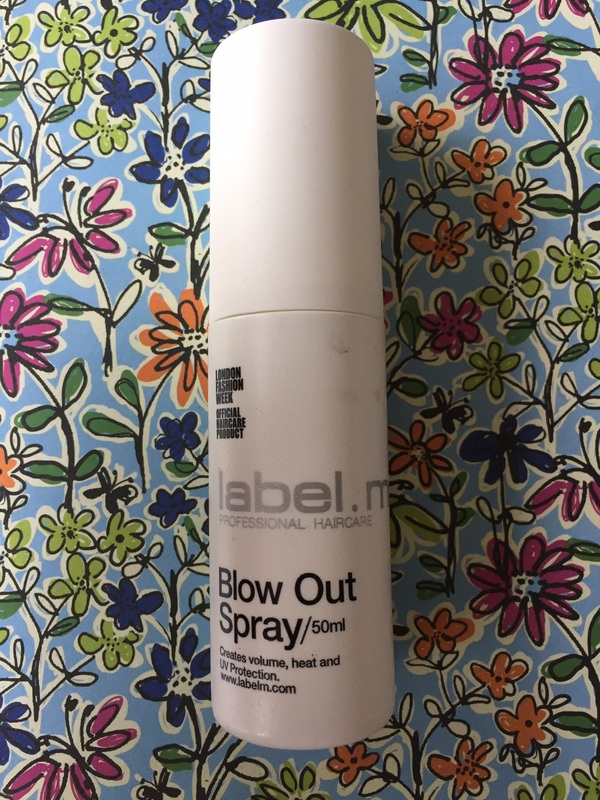 The blow out spray adds volume for the “perfect” blow dry and also contains heat and UV protection, which of course is essential to protect your locks from damage of heat styling. It has a delightful tropical scent which isn’t over powering. It reminds me of pina coladas. It contains botanical extracts such as avocado, ginger, jasmine, ginseng and fig. It does add a little volume and it left my hair feeling bouncy. I think that this is another product that works better on shorter/above the shoulder length hair. I seem to receive this sample ALL the time. The brand is well known and in the US there are quite a few spas that specialize in using only this brand. 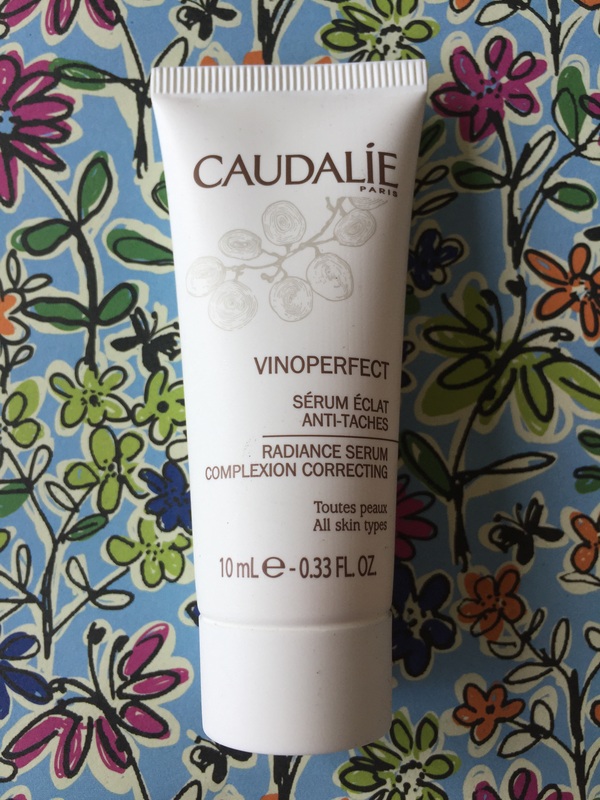 Caudalie products contain only natural ingredients and contain no parabens or mineral oils. Apply the serum before applying your moisturiser in the morning. It is said to correct complexion issues such as pigmentation, acne scarring, sun damage and uneven skin tone. With continual use, it is said that skin will become brighter and more luminous however I didn’t notice too much of a difference. I think you probably have to use this one for a month to see results however the sample only lasts around a week or so. This is another brand which seems to do the rounds in the UK beauty boxes. 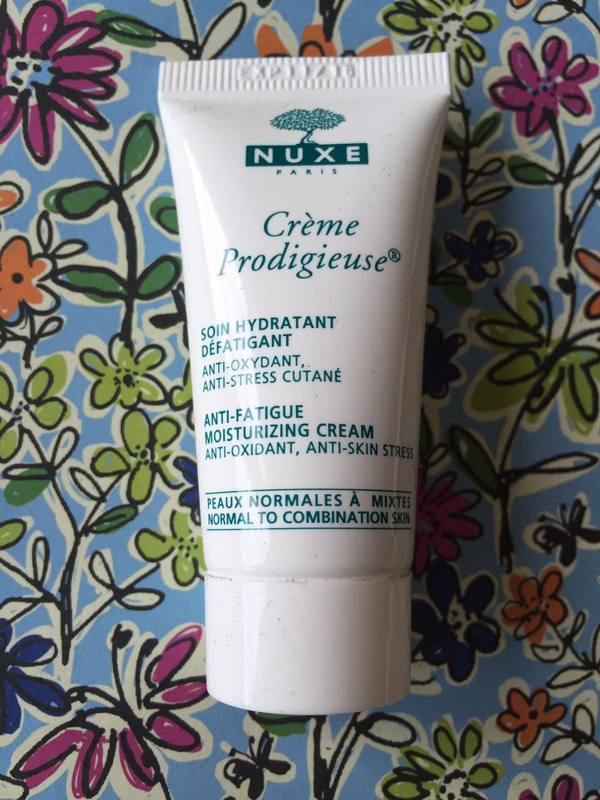 This is an anti-fatigue moisturizing cream which is suitable for normal to combination skin. It is light, non greasy and absorbs well into the skin. It leaves skin feeling very soft and dries very quickly. I used it after the REN mask in the morning which made me look very awake and very fresh faced. I would say it’s great for the Summer when you wear less foundation and concealer. It has the classic Creme Fraiche scent which isn’t overpowering and disappears completely once applied. I enjoyed the contents of this box, especially the REN mask. As you can see the products featured are from well established reliable brands and are easy to source, whether it be online or instores. If you are a subscriber, let me know whether you received anything different to me. I love knowing what everyone else got incase I missed out on receiving a miracle item. Let me know your thoughts on the contents of this box and if you have ever tried these out. And of course, if you have any product recommendations I’d love to hear them! 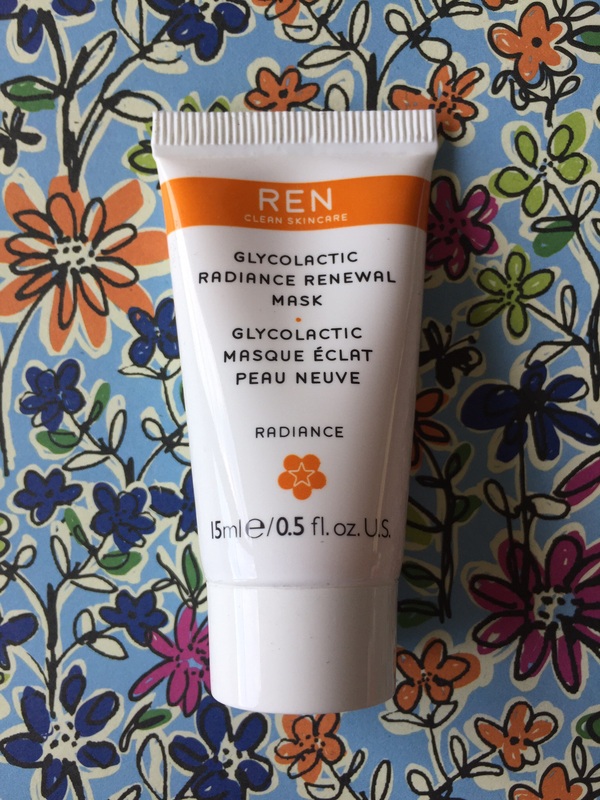 I love the Ren mask, and was so happy that it didn’t cause my sensitive skin to react! Whoa these are awesome brands in one box! !